Amd-Ritmed Distech Children’s Earloop Masks offer primary protection for simple, low-risk procedures involving very light dust, moisture, spray and spatter. Ideal for patient appointments and exams. The inner and outer layers are constructed for basic fluid resistance, with ultrasonically sealed, soft, stretchy, latex free earloops for superior comfort. The Distech Masks have an adjustable nosepiece for custom and comfortable fot and easy breathing and are an economic alternative for simple procedures. 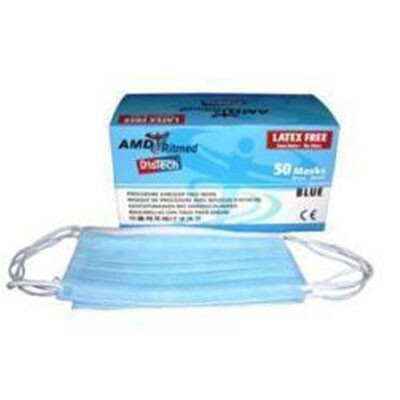 For more information on Amd-Ritmed Distech Children’s Earloop Masks, please visit www.amdritmed.com. To view more specifications on the Distech Children’s Earloop Masks, please view the provided PDF.